Sleek, slim, speedy. In addition to a powerful CPU and a potent GPU the thin Aero 15X is also equipped with a matte IPS panel, an NVMe-SSD, and Thunderbolt 3. Even battery life is pretty decent. In the end, color us impressed. Yes, a GeForce GTX 1070-class GPU is a little overkill for gaming at 1920x1080 at 60Hz, and probably justified only if you're looking for future-proofing or to play using an external monitor. A few nagging problems like the laggy trackpad seem to repeat the history of the faulty keyboard. The Gigabyte Aero 15X is a long-lasting, ultraportable gaming notebook with solid specs for work and play. 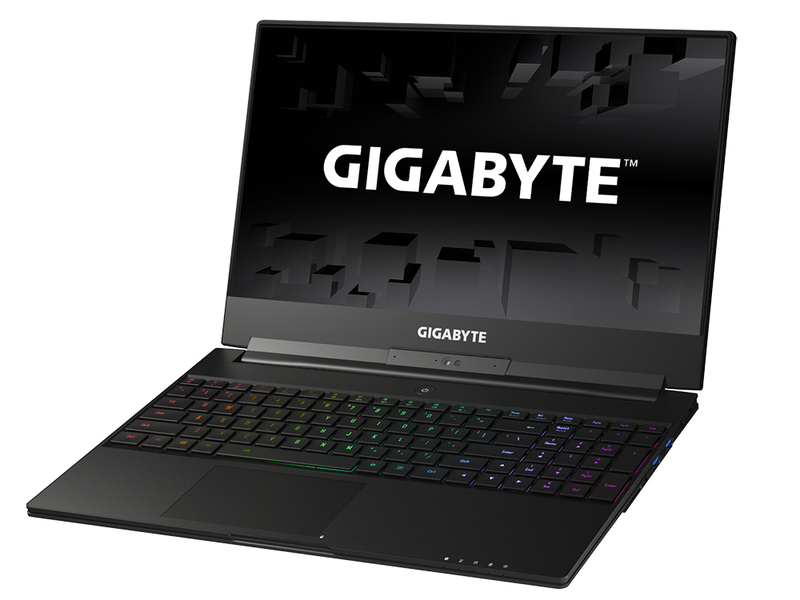 Gigabyte’s latest laptop is a rare notebook that doesn’t do much wrong. Its components have ample power for gaming and for its intended work tasks, and the calibrated screen offers more quality than most of its rivals. It’s ergonomically sound, relatively slim and light, and even has decent battery life. It’s a little expensive, but it’s a top-quality option for work and play. We don't envisage existing Aero 15 owners rushing out to upgrade, yet the Aero 15X is a serious candidate for gamers looking to migrate from an older model, and going by this showing, the future is bright for Max-Q laptops. Positive: Large screen; nice display; slim size; high gaming performance; backlit keys; good connectivity; premium design; great built quality. Positive: Elegant design; high performance; great built quality; high autonomy. Negative: High price. 81.12%: This rating should be considered to be average. This is because the proportion of notebooks which have a higher rating is approximately equal to the proportion which have a lower rating.